HELMAND, Feb. 12 – A key enemy outpost located on the riverbed of Musa Kala district’s Do Aab area was attacked by Mujahideen of Islamic Emirate at 11:00 am today amid the ongoing annual ‘Azm’ campaign. The operation came to an end after a brief clash as a result the outpost was overrun and the gunmen forced to flee after sustaining deadly losses. 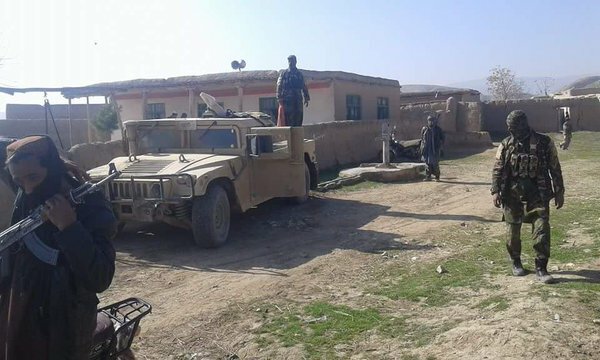 Reports say that 2 APCs, a pickup truck and other equipment were seized as well as the large regions of Do Aab and Amaal falling under the complete control of Mujahideen.